Iso certification assistant and Carbon credit certification Assistant. 1. Awareness Creation: Understand the aspects of Green House Gas emission reduction. 2. Identification: Identification of projects and eligibility checks. 3. Project Design: Preparation of Project Design Documents. The high volume of electrical equipment in a typical office can expose workers to serious electrical hazards, including shocks, burns and fire, Electrical accidents that occur in an office environment are usually a result of faulty or defective equipment, unsafe installation, or misuse of equipment – specifically, extension cords, power strips and surge protectors. 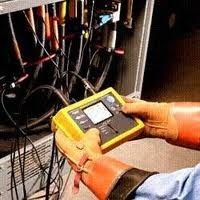 We are offering Electrical Safety Audits to the clients in the markets on the lowest prices with best quality. Supported by highly accomplished crew of employees, we are rendering Residential Electrical Safety Audit Service. These provided services are delivered under the stern supervision of adroit personnel as per set industry principles. In addition to this, these provided services are attributed amid our client for reliability and cost effectiveness. 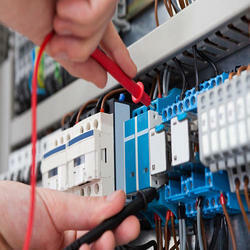 We offer our clients Electrical Safety Audit Service. These services are rendered in compliance with the international quality standards by making use of advanced technology and methodology.